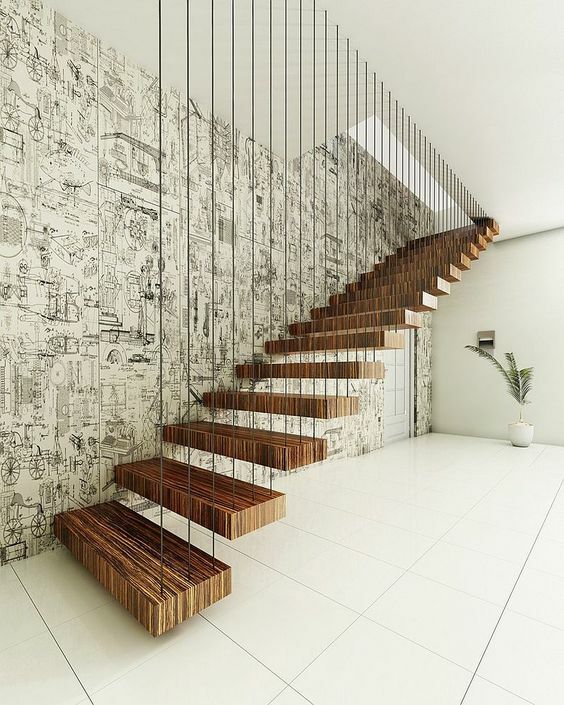 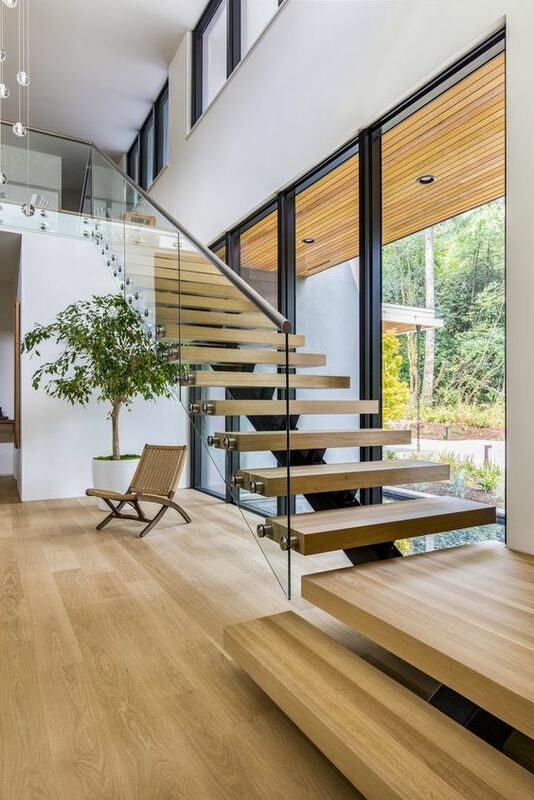 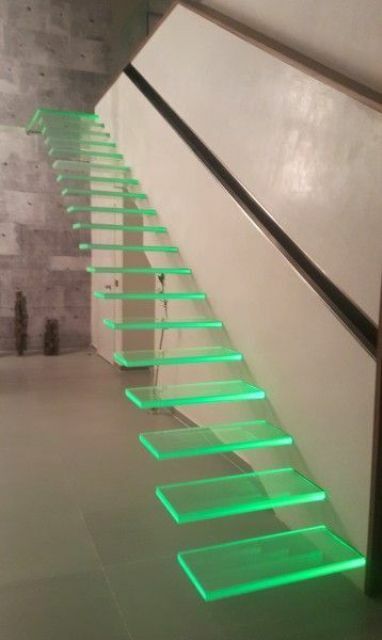 Floating staircases are the trendiest and hottest idea for a modern home, and if you want to add a bit of edge to it, it’s high time to rock one. 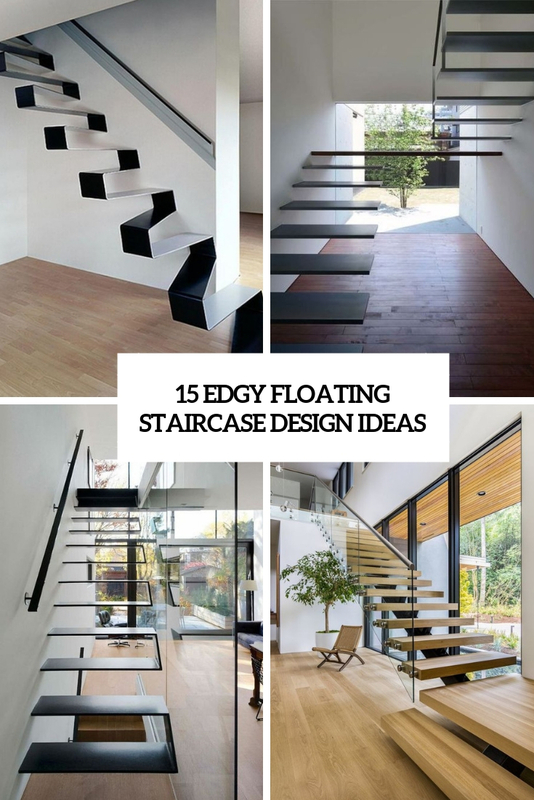 I’ve prepared a whole bunch of gorgeous ideas you may steal, take a look! 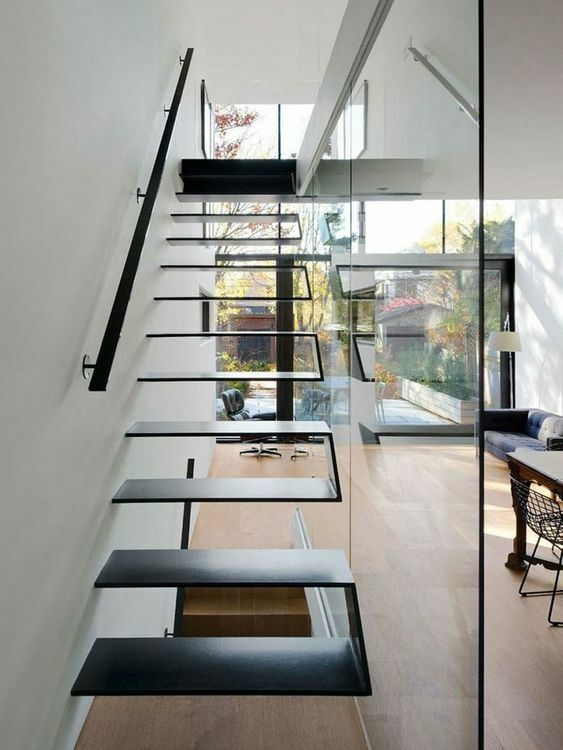 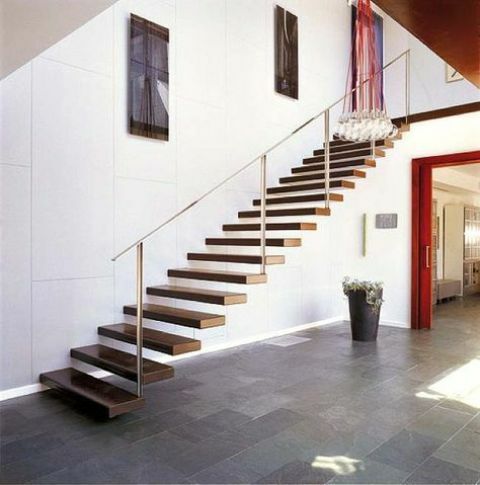 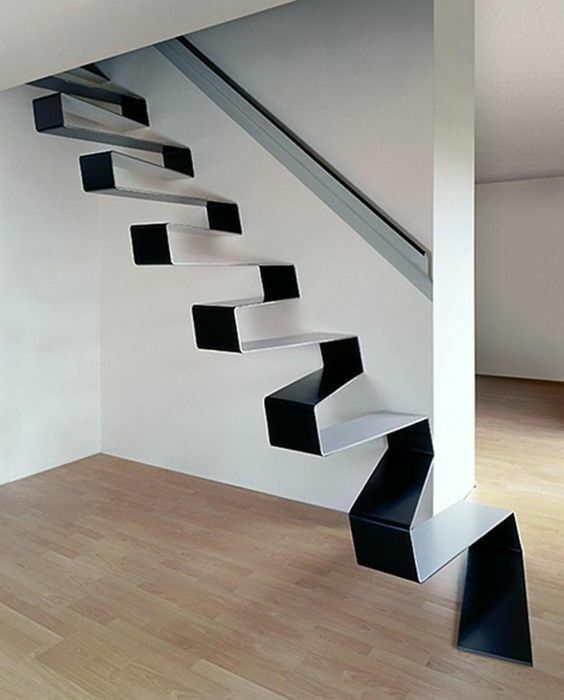 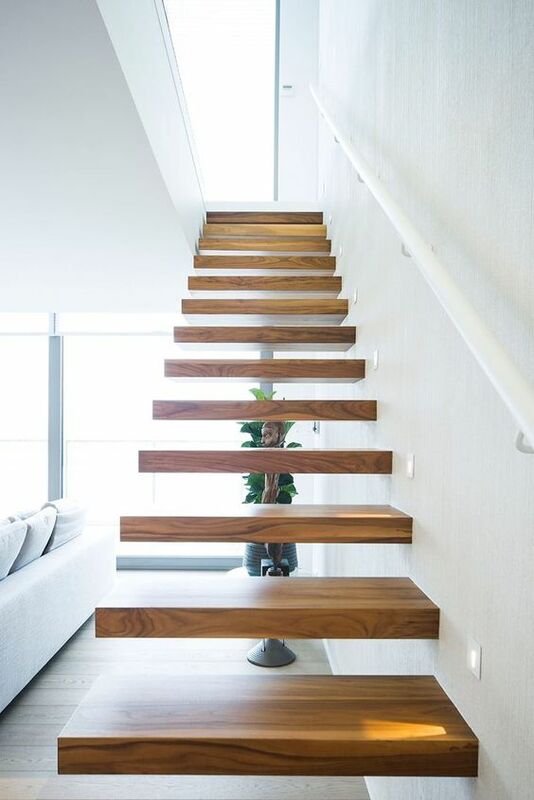 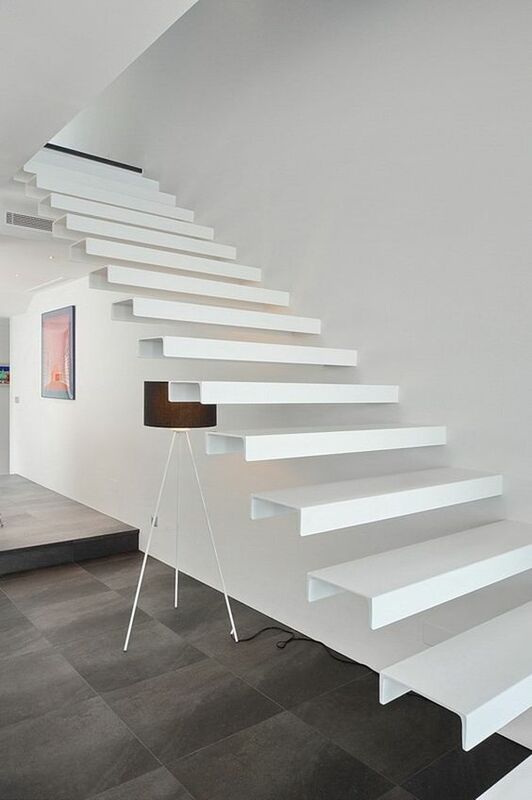 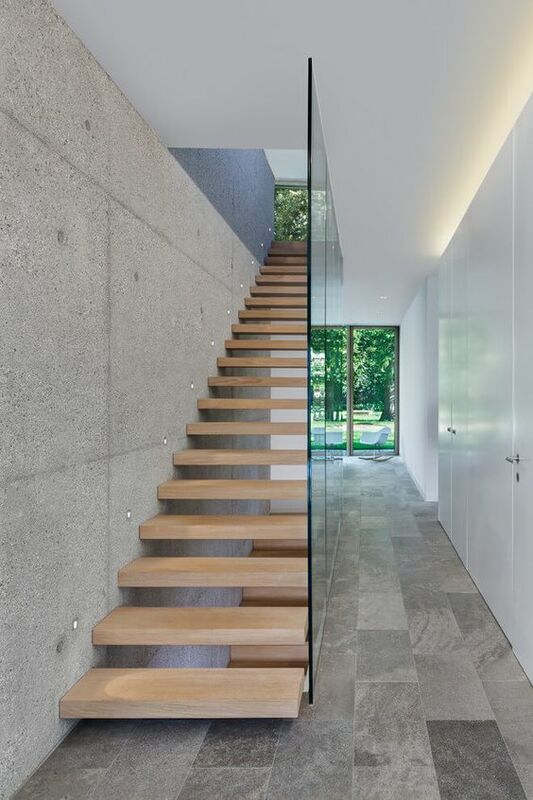 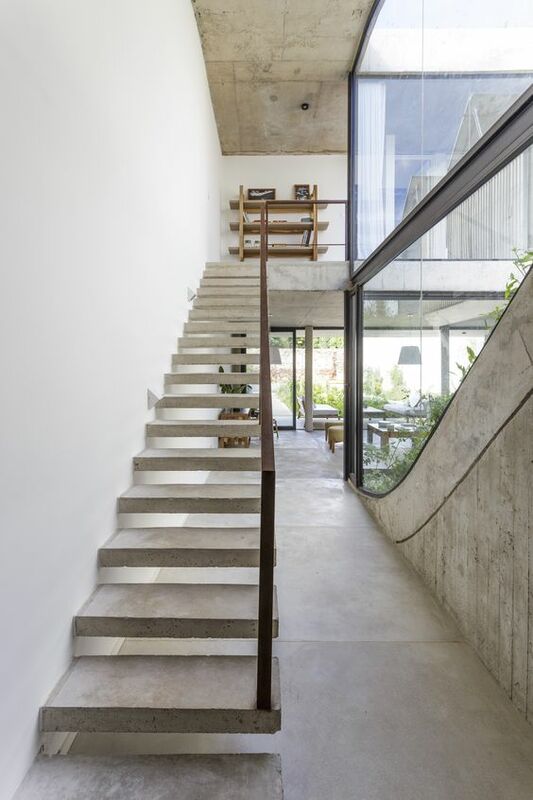 If you want a very clean and sleek look, go for a floating staircase with no railing or banisters. 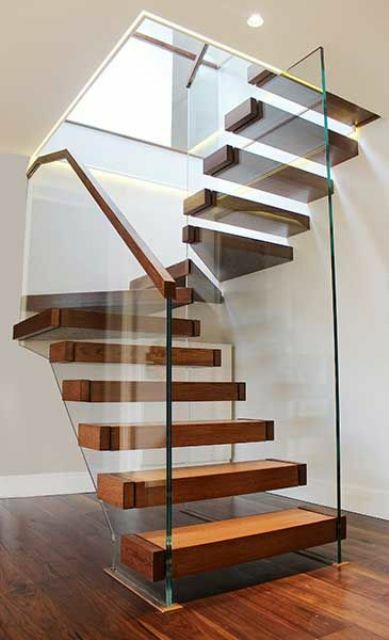 It can be made of wood, metal, glass and other materials – feel flying in the air while going up and down! 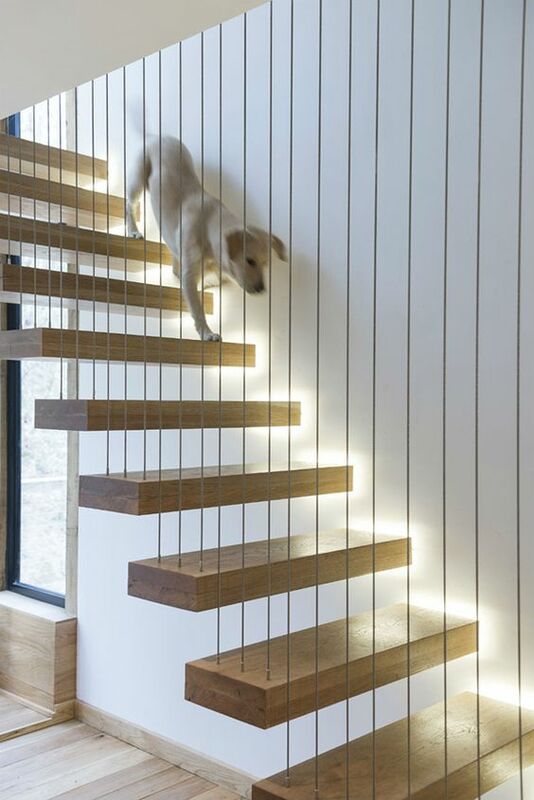 A floating staircase can feature banisters and railings or some of them to make it safer for kids, pets and even adults. 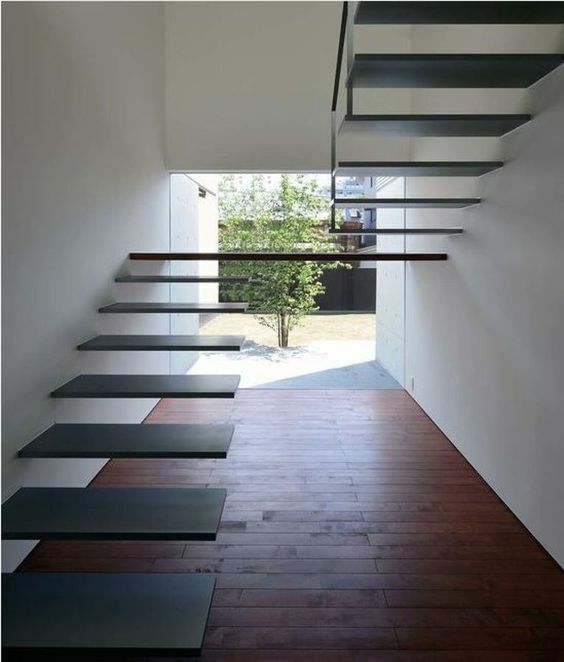 If it’s a suspended staircase, you may use the suspension as a banister. 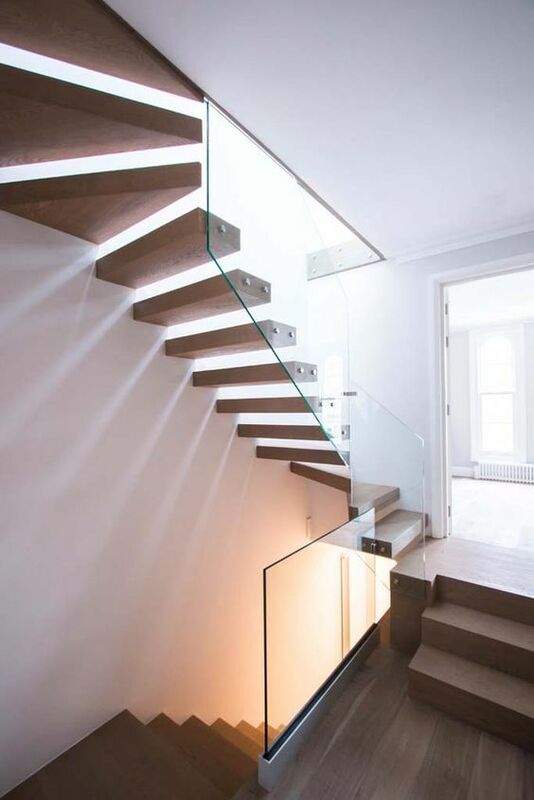 If you want a more ethereal look, go for a glass banister with no railing. 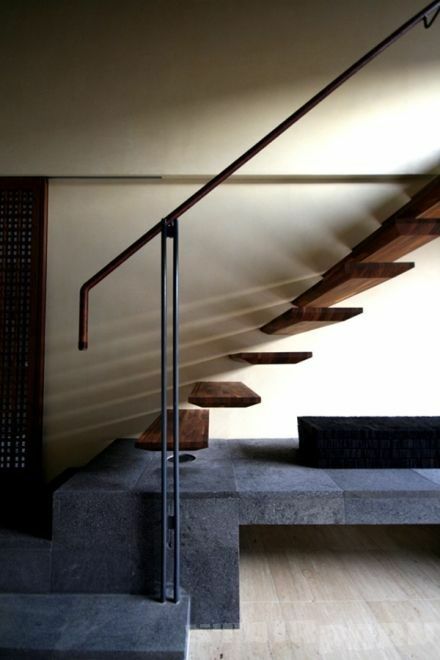 Railing attached to the wall won’t add a bulky feel to your airy staircase, so rock some if you like it.